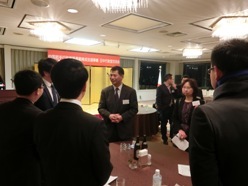 On Thursday, March 3, 2016, JICE held a meeting for sharing research progress by the JDS China fellows followed by a networking reception joined by the Japanese Government officials. 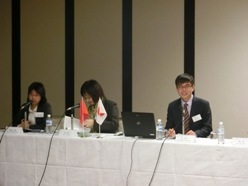 During the meeting, each JDS fellow made a presentation on his/her research and student life in Japan. 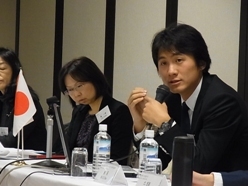 They also explained how their research at the graduate school in Japan would benefit to their duties at the ministries and agencies they belong to. 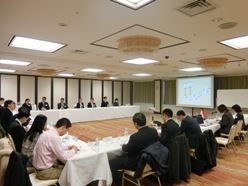 The Chinese fellows actively exchanged their views with the Japanese Government officials who attended the meeting. 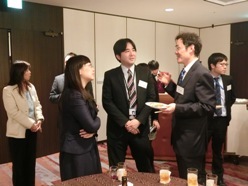 During the reception, they could also discuss how to promote further cooperative relationship at the professional level between the JDS fellows and the relevant Japanese government ministries. 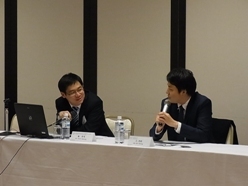 We hope that this meeting provided the JDS China fellows with a valuable opportunity to broaden their networks with the Japanese counterparts with a view to strengthening the Japan-China friendship. 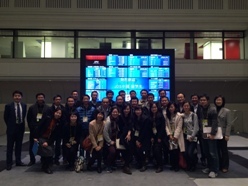 On the following day of the meeting, they visited the Bank of Japan, Currency Museum, and the Tokyo Stock Exchange. 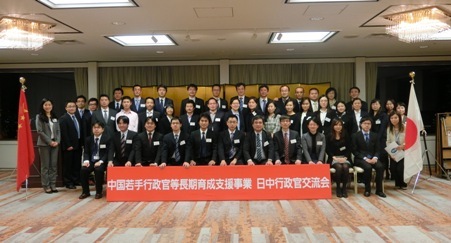 This served as an occasion in which all the JDS fellows across Japan met together. 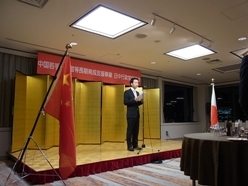 Moving forward, JICE will endeavor to contribute to the promotion of mutual understanding between Japan and China at the governmental level and beyond.